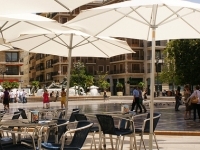 A holiday in Valencia offers attractions to suit all tastes, from beautiful beaches right on the doorstep, to a host of museums, art galleries, bars, restaurants and nightclubs, a full calendar of exciting festivals, and historic attractions. There are some wonderful beaches near Valencia, with favourites like El Saler, El Puig and Sagunto all less than an hour out of the city; the beaches within the city are less glorious but still good for a swim and a suntan. 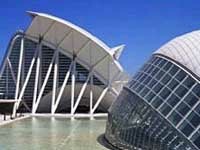 Valencia has some lovely green lungs as well, including the Antiguo Cauce del Rio Turia park, and the Bioparc Valencia, which is a great zoo. 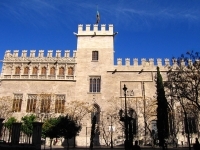 Historical attractions in Valencia include the ancient Crypt of Saint Vincente, which contains evidence of the city's Visigoth, Roman and Muslim heritage; the UNESCO-listed Silk Exchange (Lonja de la Seda), founded in 1469; the Valencia Cathedral, which is said to be the final resting place of the Holy Grail; and the beautiful, oppulently decorated Palacio del Marques de Dos Aguas. 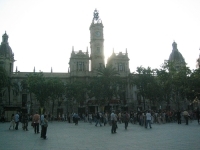 A wander through the atmospheric El Carmen district is a must, as is a lazy meal, or drink in the Plaza de la Virgen. 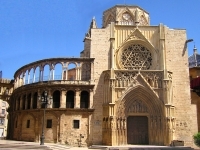 With a comprehensive bus and metro system, it is easy to get around Valencia while sightseeing. The metro system is not extensive, consisting of four lines, but covers the major points in the city, including a tramway to the beach. Buses, on the other hand, will get you to just about anywhere. More active visitors can opt to hire a bicycle, and enjoy Valencia's great network of cycle paths. 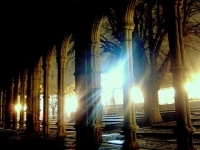 Much of the city can also be explored on foot.